The first foreign leader to meet President-elect Donald Trump is Japan’s PM Shinzo Abe. The Japanese prime minister said he wanted to “build trust” and “work together for prosperity and world peace”, before leaving for his trip. The New York meeting on November 17 comes amid concern over the foreign policy direction of Tokyo’s biggest ally. 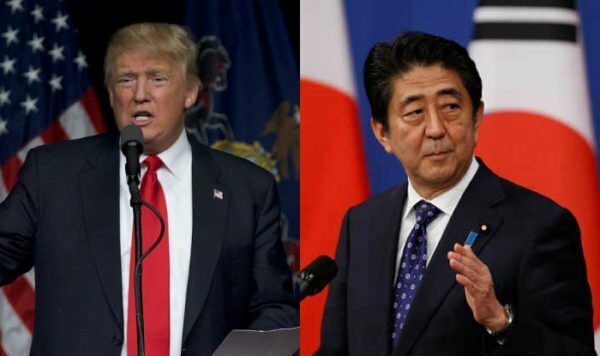 Donald Trump has said Japan needs to pay more to maintain US troops on its soil. During his campaign, the Republican candidate also condemned a major trade deal struck by President Barack Obama with Japan and other Pacific Rim countries. The US and Japan have been key allies since the end of World War Two, when the US helped Japan rebuild its economy. Shinzo Abe is stopping in New York on his way to an Asia-Pacific trade summit in Peru. However, details of today’s meeting are unclear, with a Japanese official saying exactly where it will happen has not been firmed up. “There has been a lot of confusion,” a Japanese official told Reuters. Donald Trump has also yet to select his new cabinet and other positions. He has denied that the transition to the White House is in a disarray. The president-elect and Vice President-elect Mike Pence have spoken with 29 world leaders since the election, according to a statement from the transition team. It remains unclear who else might be at the meeting with PM Shinzo Abe. High-level talks are rarely held in such an informal context and Tokyo is keen to minimize uncertainty during the long handover of power. Hillary Clinton About Election Defeat: "I Wanted to Curl Up And Never Leave the House"